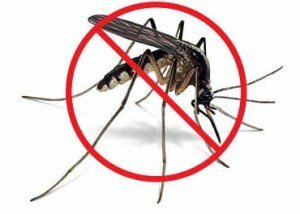 How to Avoid the Bugs and Mosquitoes in Richmond, Va.! - "The Home Exterior Guru"
It is heard all the time, “I would love to sit out on my deck, but the bugs and mosquitoes are too much of pain in my you know what.” In Richmond, Virginia, there is a descent amount of rainfall and often results in standing water in buckets, old tires, bird baths, etc that promotes the growth of those worrisome mosquitoes. There are also a lot of water ways, lakes, ponds, and wetlands where mosquitoes and other pests can thrive. Unfortunately, until now if you live in Richmond, Virginia you don’t have a lot of choices when it comes to living bug-free outdoors. Let’s look at some of your choices and the pros and cons of each. First and probably the most common solution homeowners choose are the Three or Four Season Sun rooms. These rooms are pleasant, full of glass and open air. The major down side to these sun rooms is that they are expensive! They can range from $20,000.00 -$70,000.00. Four season rooms also require the homeowner to spend more on energy bills because you have to heat and cool them year round in order to use them. They become very hot and almost unbearable in the summer and extremely cold in the winter. Usually some sort of ceiling fans, portable heater or ac unit is needed to keep these Three Season sun rooms comfortable. Another reason is that they don’t give you the outdoor feeling of some of the other alternatives to sun rooms or screen rooms. For the cost you would almost come out better adding a room addition with a lot of glass. Next you have the traditional screen rooms. These screen rooms tend to tie well into the structure and architecture of a home. 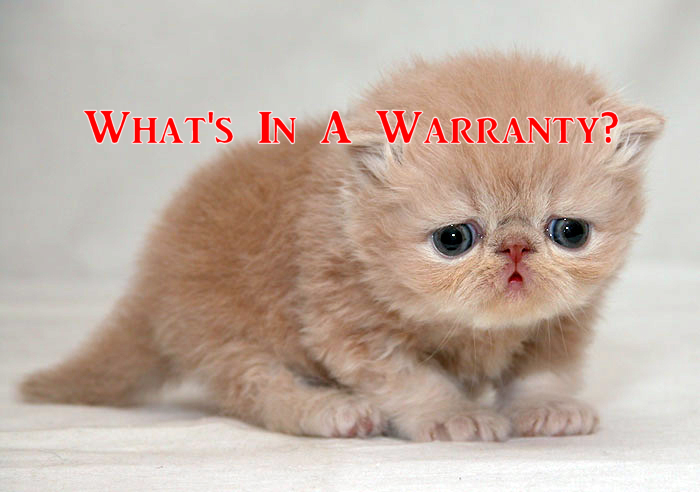 Depending on the size they can be rather expensive as well, because it is usually a lot more construction involved. If you want or need to tie it into the existing roof of your home, expect to pay more. 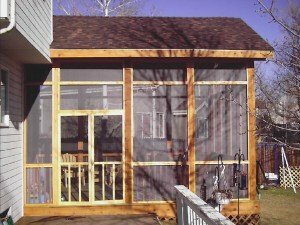 Traditional screen rooms that are not tied into a roof structure tend to cost less. The major down side to the traditional screen rooms or screen enclosures is the materials used. Most are constructed out of wood and fiberglass screening. However, the wood used to build the screen walls will deteriorate over time, forcing you to have to redo them. Over time, the screens tend to get very flimsy with normal wear and tear. Do not allow one of your kids or other kids horseplay push the screen by accident because it is likely that they will go through it! The wood needs constant maintenance, everything from power washing to re-staining or simply replacing because of warping or splintering. The Home Exterior Guru has found one solution that stands above them all, Suncoast Screen Enclosures! www.suncoastenclosures.com Suncoast Screen Enclosures are perfect for the Richmond, Virginia climate. Don’t get me wrong, you cannot use these in the winter time. They are ideal for nice weather during spring, fall, and summer months. They are a mosquito and bug-free solution that allows you and your family to enjoy the outdoors the way it is meant to be enjoyed. They are open, airy and totally customized to your home or deck situation. They can be attached to your home, built as a free-standing screen room or gazebo, or configured to cover an odd shaped deck. The best thing is the construction and openness you feel in these screen rooms. When you have weather like there is in Richmond, Virginia, you have to have materials that can withstand the extreme swings in the temperature and precipitation. You know there has been snow in the beginning of the week and it may be 65 degrees by the end of the week. With temperature swings and constant forms of precipitation falling that can be very abusive to wood on a traditional screen room. Suncoast Screen Enclosures are constructed out of aluminum 2”x2” posts and 4”x4” or 6”x6” ceiling rafters. The posts have the strength of a 4”x4” or 6”x6” wooden post without the maintenance. Best of all it’s totally customizable, meaning you can have a choice in design and color such as white, brown, earth tone, wood grain or any of the other colors offered to match or compliment your home’s exterior. The aluminum framing materials are maintenance free and do not obstruct your view like traditional wood post. The method in which the screening is secured in the framing is also very unique and dependable. Most other screening is either held in place with a wood lath or a half circle spline. The screens in the Suncoast Screen rooms are held in place with a D spline. The D spline is unique to Suncoast and it is the standard way used to secure the screen. When you look at the spline hole from the side it looks like a capital letter D. It requires a two-step process to push the screening in place, making it three times stronger and durable than any other method I have ever seen. They have different shading and density of screens also, giving you more protection from the wind and sun, as well as better protection from smaller insects. Best of all these screen rooms make you feel like you are truly outside! 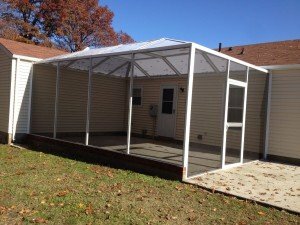 You can have a screen roof or a polycarbonate (Lexan) roof. 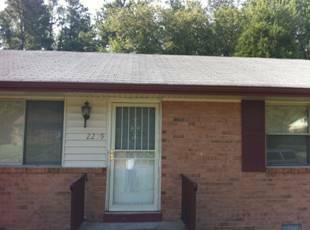 The screen roof is the one system homeowners in Richmond, Virginia have to get use to enjoying. However, once you sit under a screen roof at night and look out at the beautiful Richmond sky you will never want any other kind of roof over your head in your screen room! You really feel like you are outside minus MR. MOSQUITO, ANNOYING FLIES and other PESTS! The polycarbonate roofs come in about three to four different shades which allow you to be covered and shaded or covered and have completely unobstructed views of the sky. I have found one company in the entire Richmond area that carries this product line and that is Kemp Windows & Siding. You can request more information on their website www.kempwindows.com or give them a call. I did notice their website is not updated with the Suncoast Screen Enclosures, but they do design, build, and install them. One last point people always want to know is how do these room hold up in the snow. Well the simple answer is the Suncoast Enclosure manufacturing facility is out of Edmonton, Canada. Guess what? Canada has three times more snow than Richmond, Virginia ever imagined. Not to mention, the wind speeds in some of the Canadian country are much stronger than anything we normally experience. 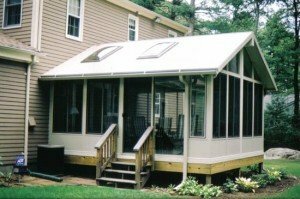 So if you are looking for a truly well-built, shape retaining and attractive sunroom or screen room alternative in Richmond, Virginia try the Suncoast Enclosures offered by Kemp Windows & Siding.